Sometimes even when vacationing on a paradise-like island, one feels the need to get away from it all. 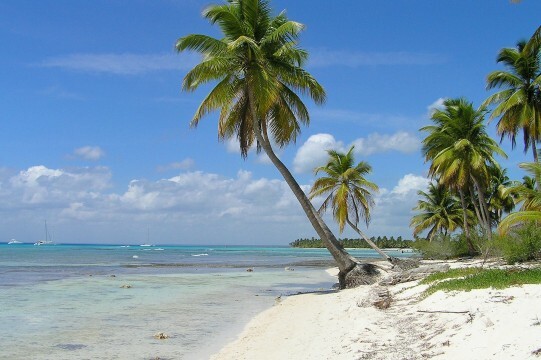 For escapists looking to make a break from Punta Cana, Saona Island delivers as a tantalizing retreat. The concierge manning your Punta Cana hotel’s front desk responds with “Isla Saona” for guests seeking an excursion with pinache, spectacular scenery, and an abundance of turquoise water diversions. 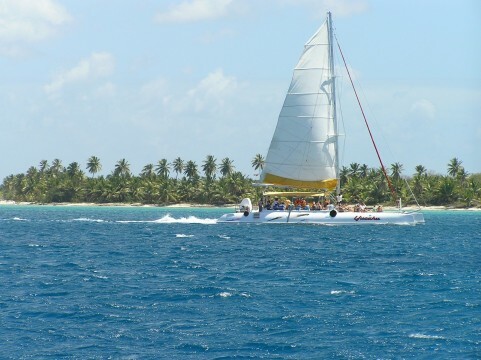 A catamaran comfortably shuttles guests to this oasis Columbus discovered in 1494. On your boat ride to Saona, it’s better than 50-50 you’ll be escorted by flying fish propelling three feet above the water line. Amazingly, these silvery speedsters easily keep pace with your wind swept catamaran. Wrapped in the brilliance of the Dominican sun, these shiny jets with gills glitter blindingly to the naked eye. Your itinerary on this picturesque setting may include barbeque, refreshments, swimming, snorkeling, hiking, or just relaxing with a book. For the naturalist in your group, Saona is ripe with birdlife and starfish. 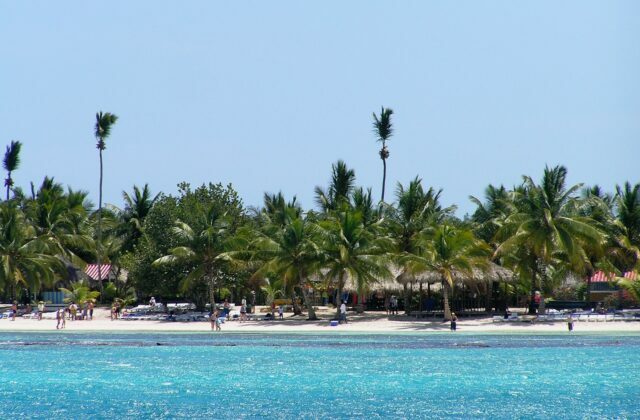 If Punta Cana is on your vacation radar, Saona Island may be your chance to get away from your getaway. See why dignitaries such as Columbus and your hotel concierge find Saona to be an island worth exploring.